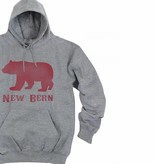 Large distressed New Bern, NC Bear hoodie. A soft screen-print positioned on front of a super soft, unisex hoodie. 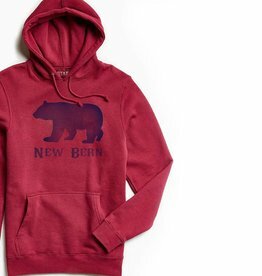 The color is red and the hoodie is a cotton blend with an amazingly soft hand. New Bern is the best kept secret in North Carolina and this is the best New Bern sweatshirt to show the love.